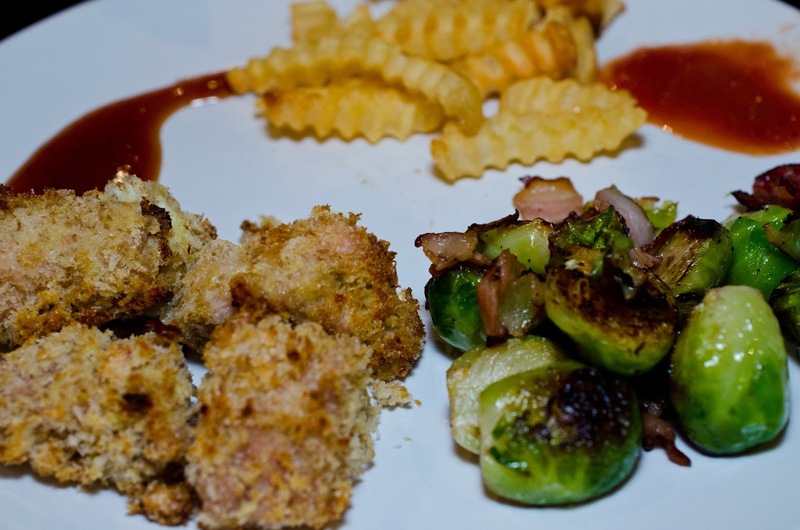 I explained in my Panko Bread Crumb post, that my son was wanting chicken nuggets with bread crumbs. When I make chicken nuggets with Panko bread crumbs, I bake them instead of frying them. This recipe actually evolved to a whole new level since I totally made a mistake. Good news though, my mistake turned out to be a huge success with my picky son and my Chinese teenager who said he doesn't like chicken. Want to know my mistake? I bought chicken thighs instead of chicken tenders. The benefits of the chicken thighs as my family found out are they are more moist and they almost melt in your mouth versus the sometimes dry and dense chicken tenders. Baked Chicken Nuggets, so much better than those nuggets sold at the store. 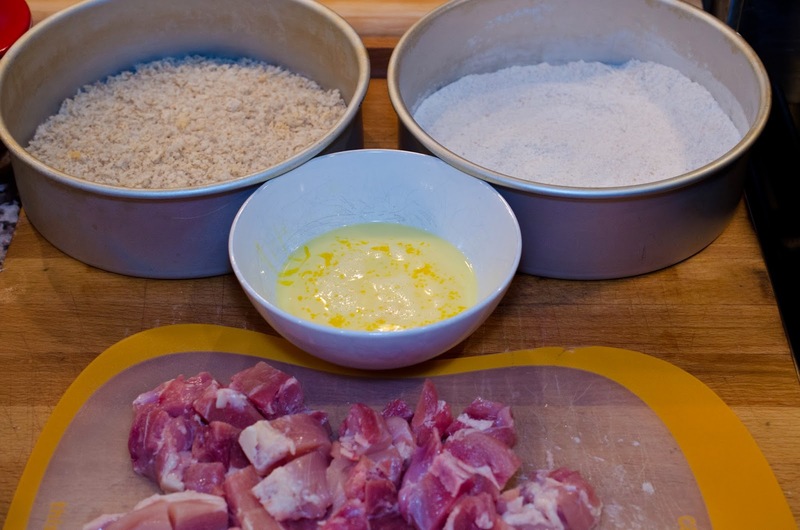 Cut chicken thighs into 1 inch pieces. Beat eggs in a large dish. Place chicken and flour in a gallon size Ziploc bag and shake to coat. Pour bread crumbs into large dish. Dip floured chicken into egg mixture. 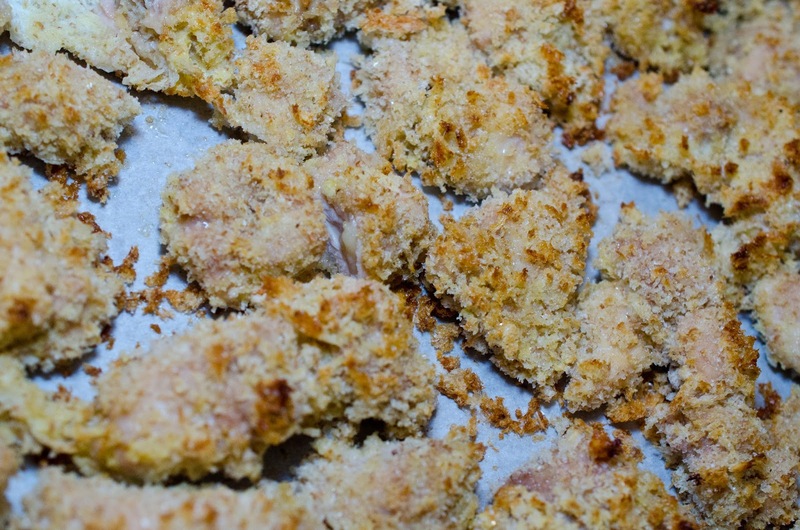 Move chicken from egg mixture to Panko Bread Crumbs and coat. Place chicken on parchment paper lined cookie sheet. Bake chicken for 15-20 minutes. Move chicken from eg mixture to Panko Bread Crumbs and coat. Baked chicken for 15-20 minutes. That does look like something your son would enjoy! Why were the thighs better than tenders? Chicken thigh meat has more flavor, and they seemed more tender. Thighs have a very soft texture. 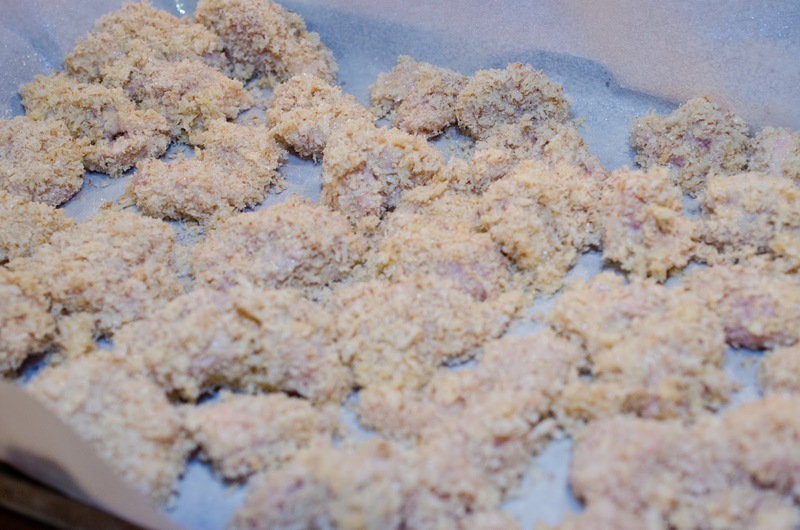 Chicken tenders always seemed just a touch to dry and a firmer meat.